This fresh meat cutting machine from Newin® Machinery is an essential preparation machine commonly found in most kitchens. It just slices fresh meats evenly with precision. 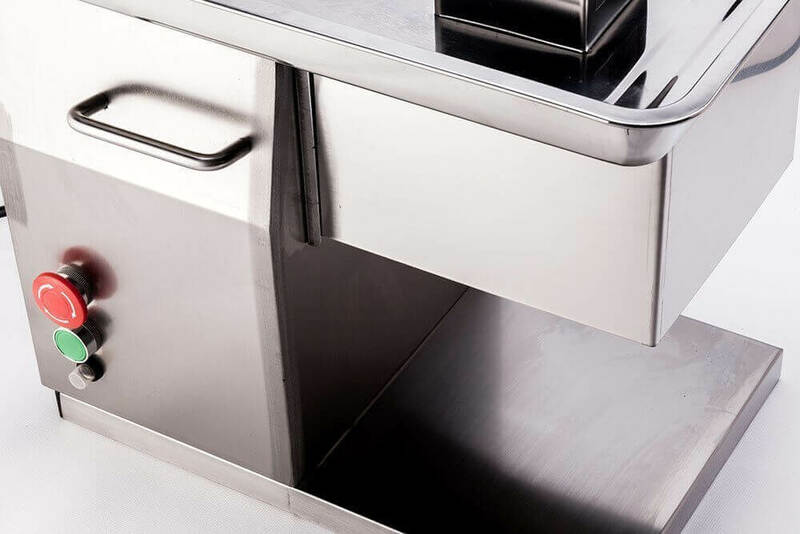 Almost all delis and butcher shops make use of meat cutters; nevertheless, they choose only stainless steel for its major benefits to offer and its major components. 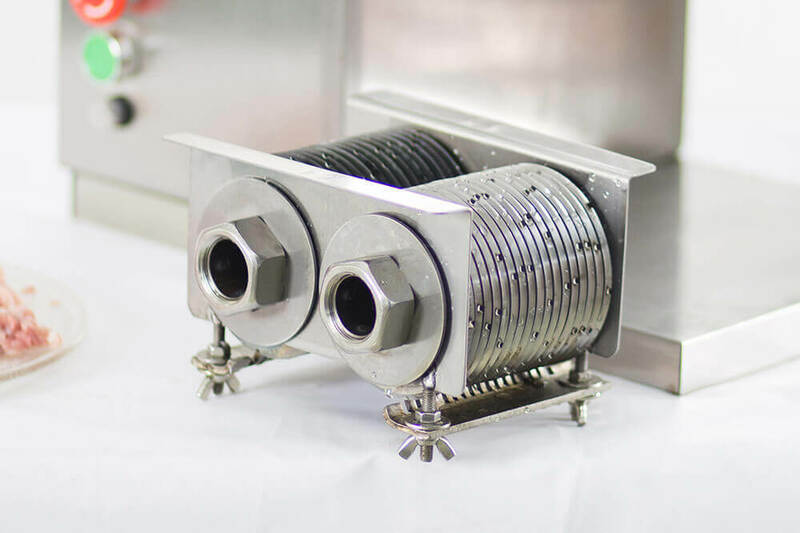 Truly, a fresh meat cutter is the most effective solution for the users who would want to process fresh meats in bulk. This is a capable and consistent machine that can handle means and this is just the best deal for it price. With its emergency stop button and safety cover, this one is truly a remarkable option to consider. Nevertheless, this machine will never ever start working without cover or having the cover set in the right position. The machine could still be stopped immediately if urgent situation arises. This machine can be placed exactly anywhere that you want to operate it. This is very convenient and small to place to the floor or to the table. Instead of choosing for other options of meat cutter, it is a lot better to consider our meat cutting machine. This is somehow easy for you to operate. This can be used right after the power is on. The machine is also easy for you to use to cut the fresh meat or to slice it in cube. It cuts all kinds of sliced meat, fresh meat, diced meat and shredded meat. With its beautiful stainless steel body and blade, this is just a remarkable option of fresh meat cutter to consider. This is made of stainless steel and of blade material. This does not also poison the meat. Newin® Machinery provide life-long service and ease of use just set it remarkably different from the rest. This is also easy for you to maintain and clean. 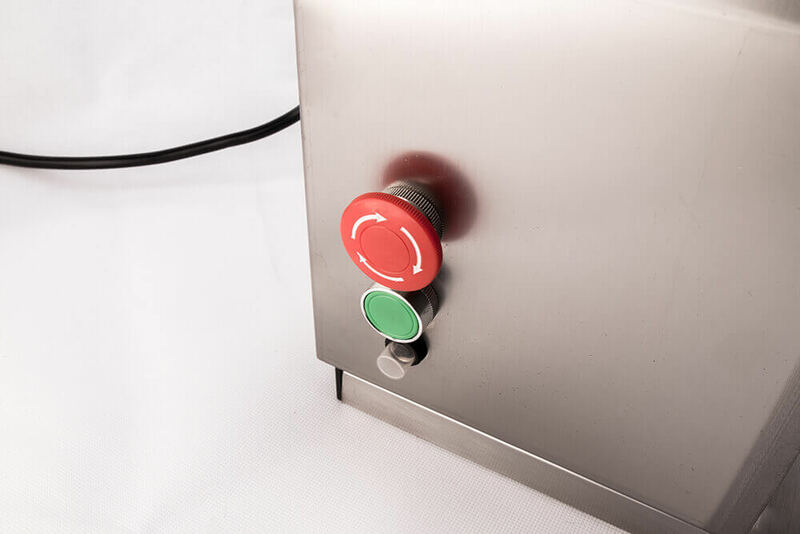 This is the best equipment to use when you want to process meat with sanitation, safety, high efficiency and more. What else are you waiting for? 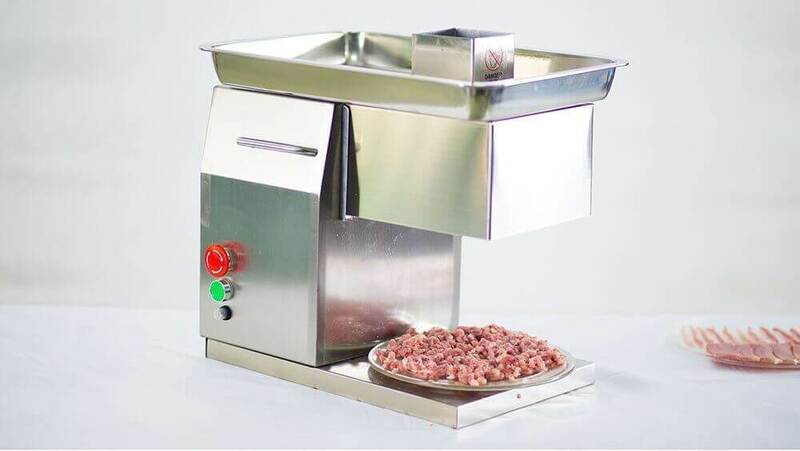 Feel free to buy this meat cutting machine and get the most of its benefits provided for you! For more details please visit www.cnnewin.com or send an email to [email protected]. Poultry is how to classify it?